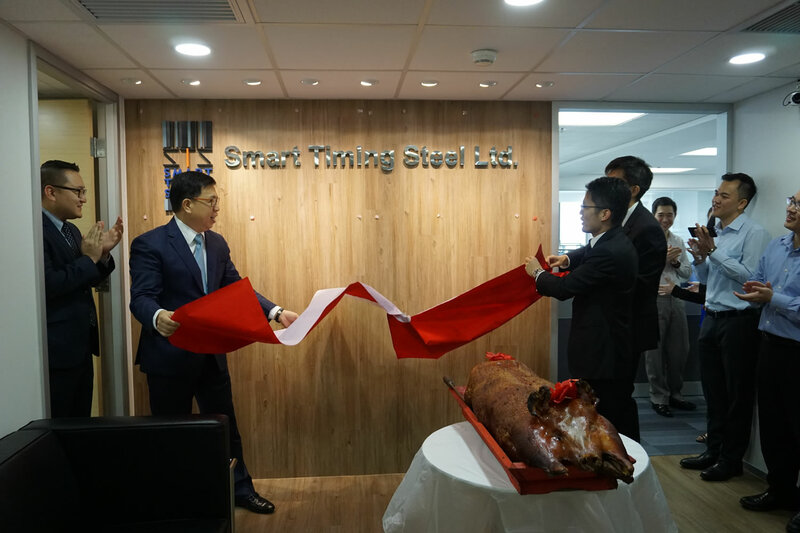 Smart Timing Steel Limited was established in 1997 and found its strong commercial foothold in the Chinese imports market. 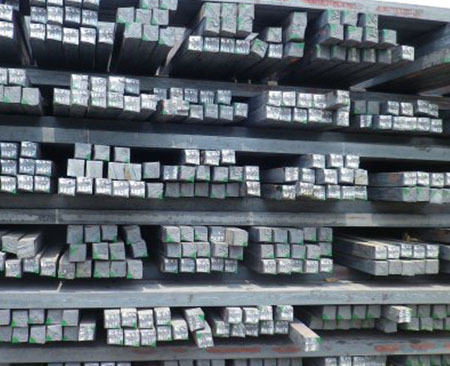 Its ambition is to become one of the top integrated steel trading houses in the region. The company is adopting a product driven strategy coupled with a sophisticated risk management mechanism allowing the teams to response to the diversified market effectively. The company also offer value added service to its clients by openly sharing our market views through informative reports. 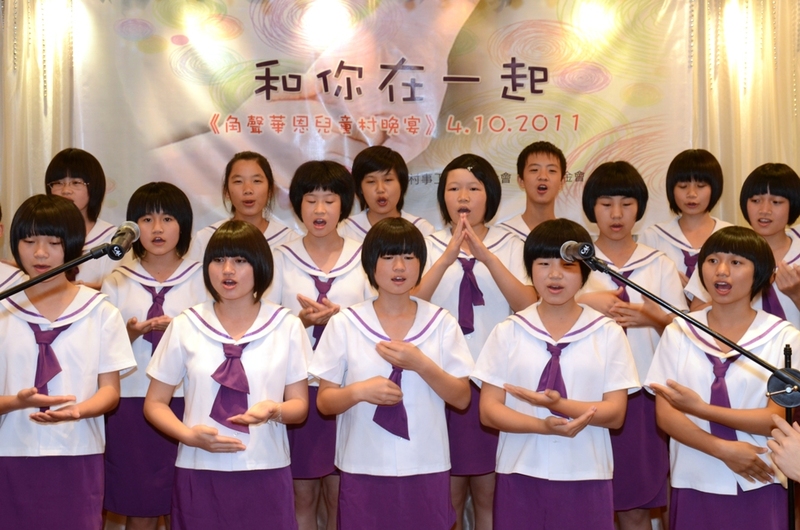 The company was founded to serve its Chinese clients when China was one of the largest importers in the 90s. 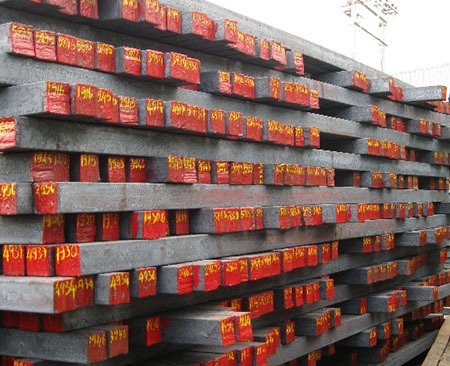 It was actively importing steel from various origins, namely the CIS, India, Thailand, Indonesia and Brazil. 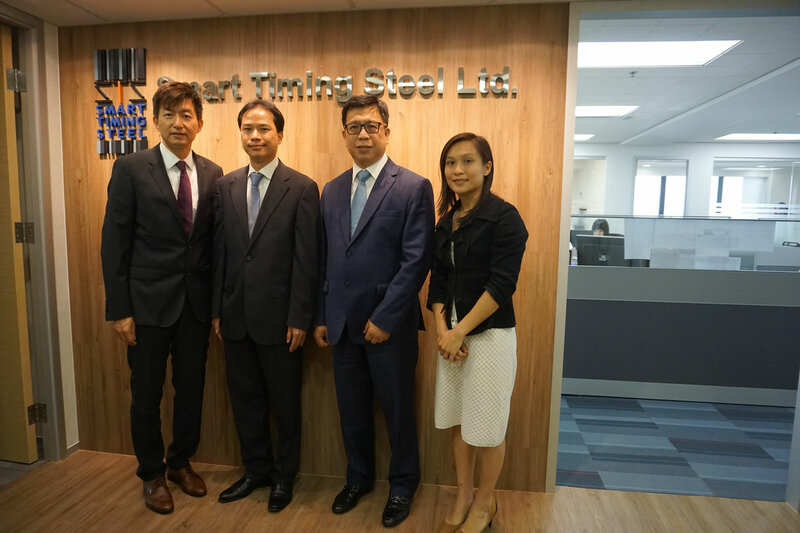 In 2000, Smart Timing received the honour of being appointed by TATA Steel as their sole agent for the South China market. 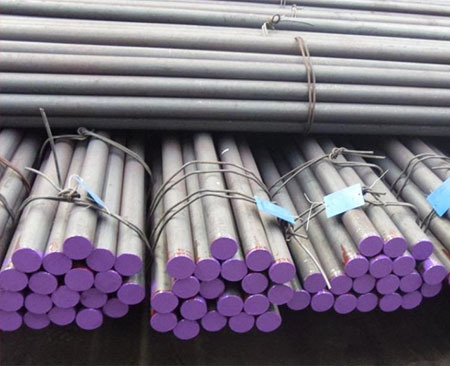 Witnessing the unprecedented expansion of steel production capacity in China, the management decided to shift focus to export ex China. 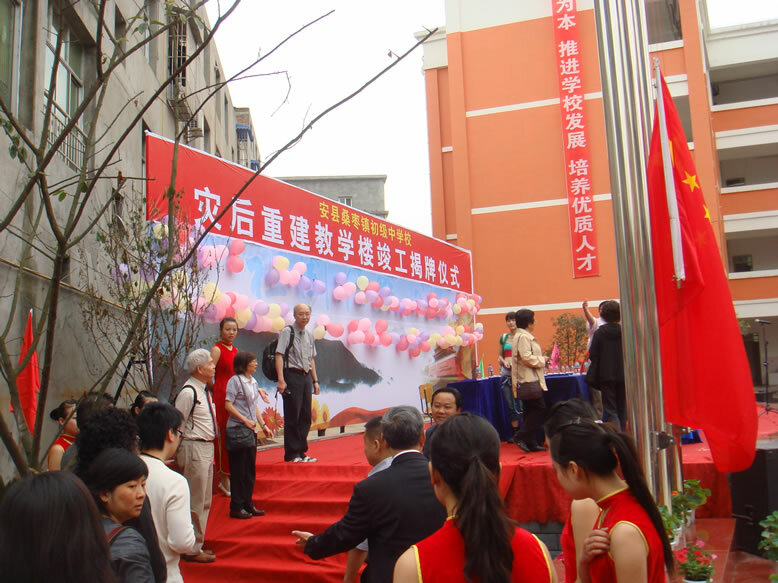 In 2004 and 2005, representative offices were set up in Beijing and Shanghai accessing the most reputable suppliers in China efficiently. 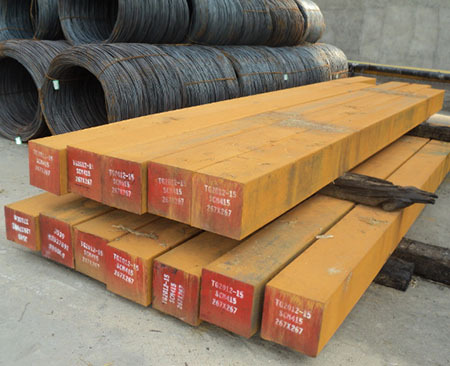 They work directly with many top-tier Chinese steel mills and selected reputable private mills for exports businesses to Southeast Asia, East Asia and Latin America. 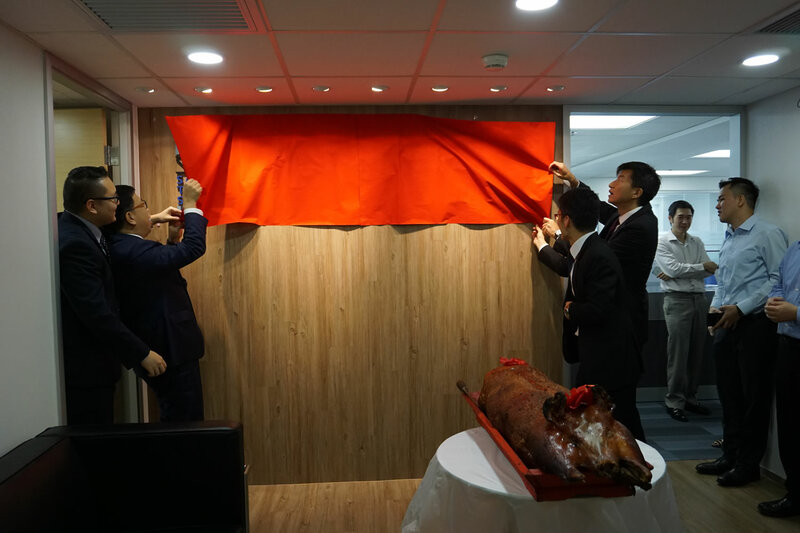 Its ambition includes the ongoing market diversification of its export destinations, setting up new overseas offices and the growing business of physical iron ore. 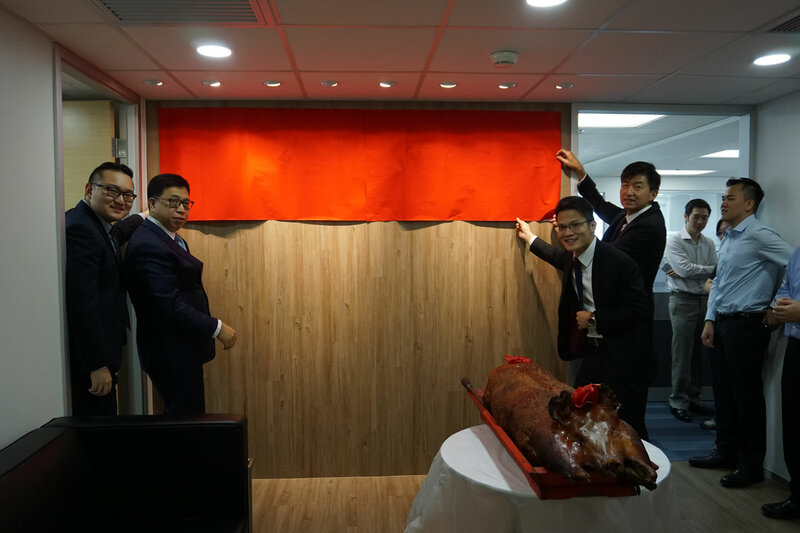 The company has evolved to expand into an integrated trading house along the steel supply chain since 2010, particularly with the development of related financial derivatives. 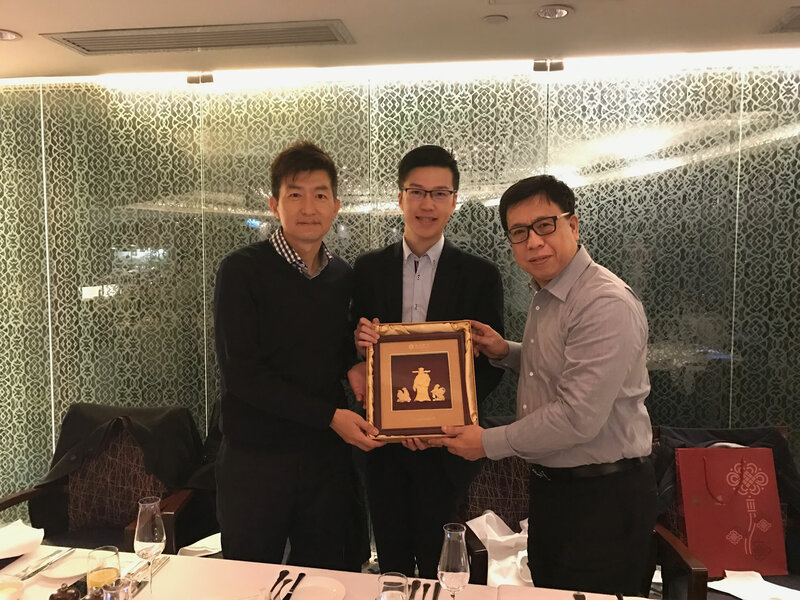 Besides the traditional physical trading business, the company actively participates in the Shanghai Futures Exchange, Singapore Exchange and the Dalian Commodity Exchange. The company is continually expanding by recruiting the top industry talents to formulate the best market insights for its application on the proprietary trading business. K.S. 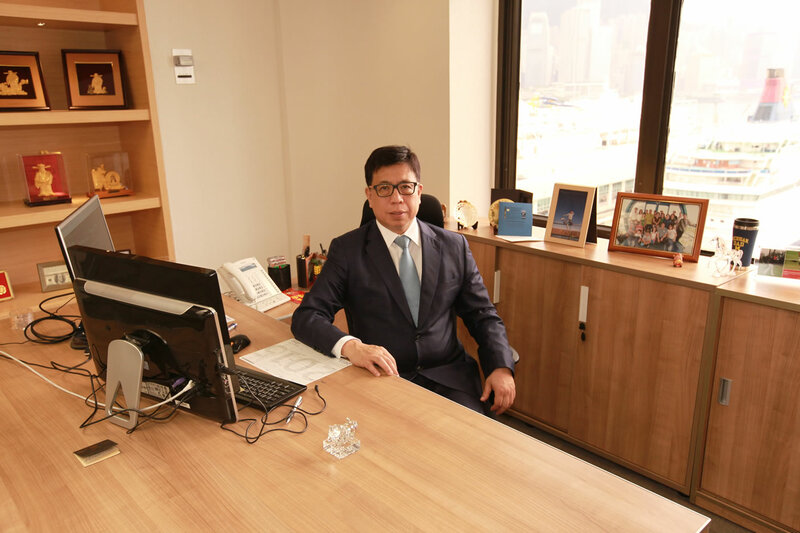 Wong has long been an iconic figure in Hong Kong steel industry. 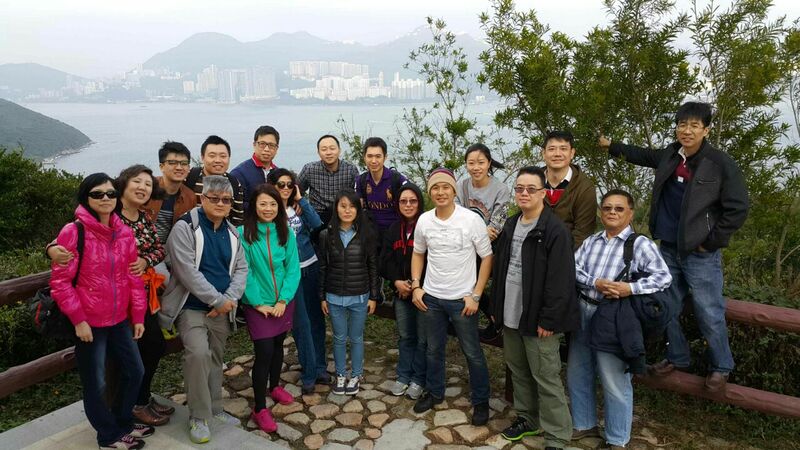 He inherited his father’s stockist business at Tai Kok Tsui in 1983. 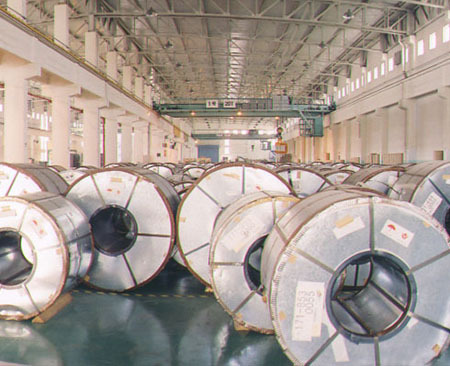 He expanded the operation by inviting investors and formed Kenta Steel in 1992. 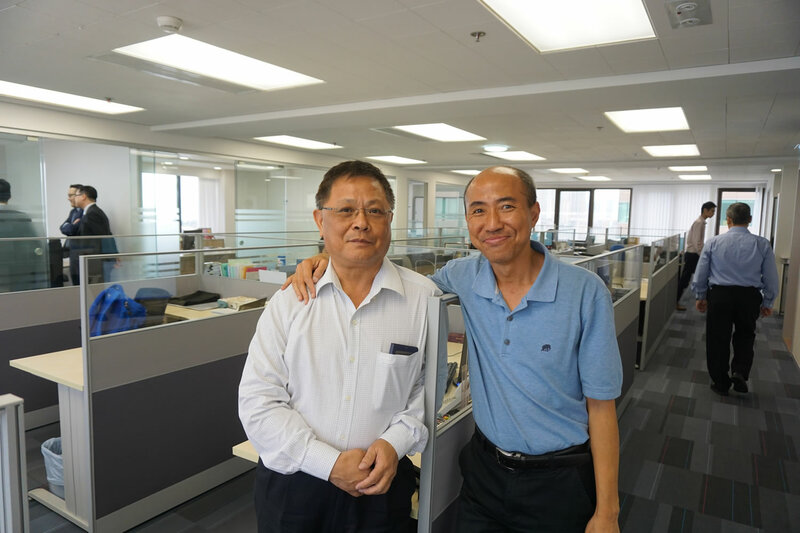 Mr. Wong widened the business spectrum of Kenta Steel and started trading steel to South China. 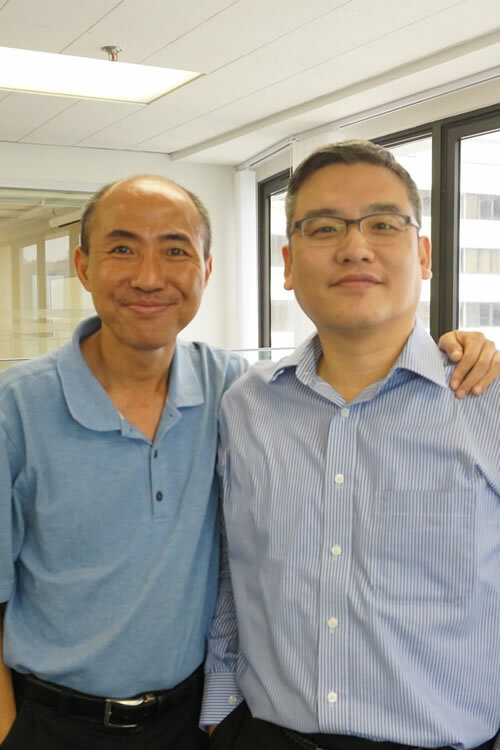 He was one of the pioneers in earlier nineties who traded directly with Chinese counterparties. 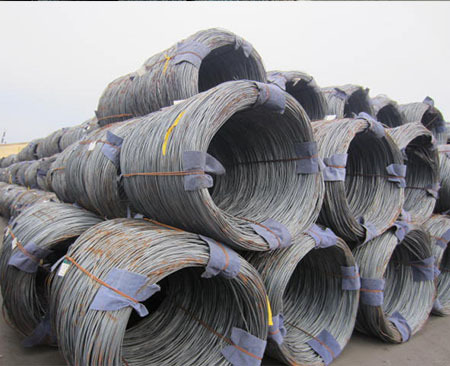 Owing to the peculiar credit situation in China at that particular time, a lot of international traders would prefer to work with Kenta Steel during nineties. 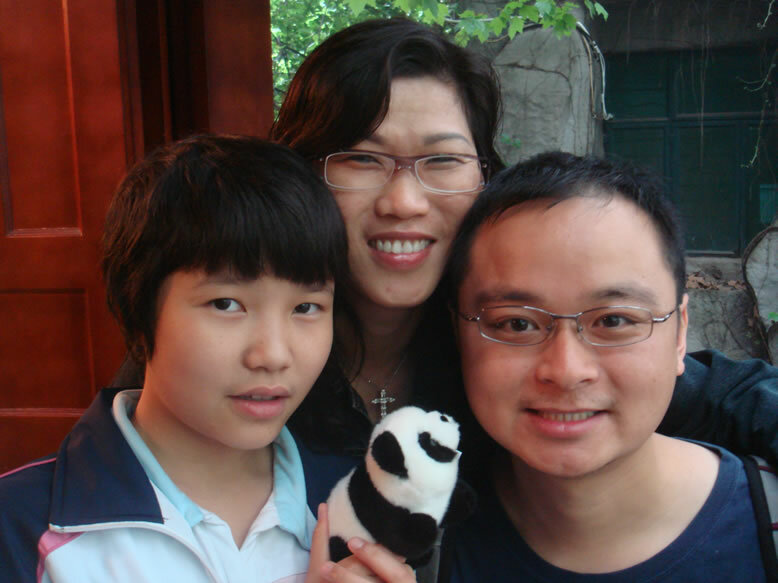 Brian Zee acquired a Bachelor Degree from the University of Hong Kong in early 90s, and a Global EMBA Degree from the Chinese University of Hong Kong in 2010. 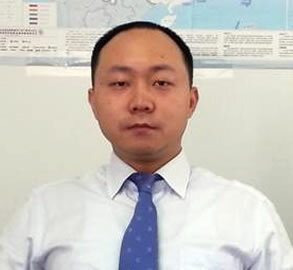 He started his steel trader career in Cargill Ferrous International (CFI). He has worked and stationed with the global team in various locations, including Singapore, Russia, Europe and USA. He pioneered and led CFI’s China operation from 1995 onwards. 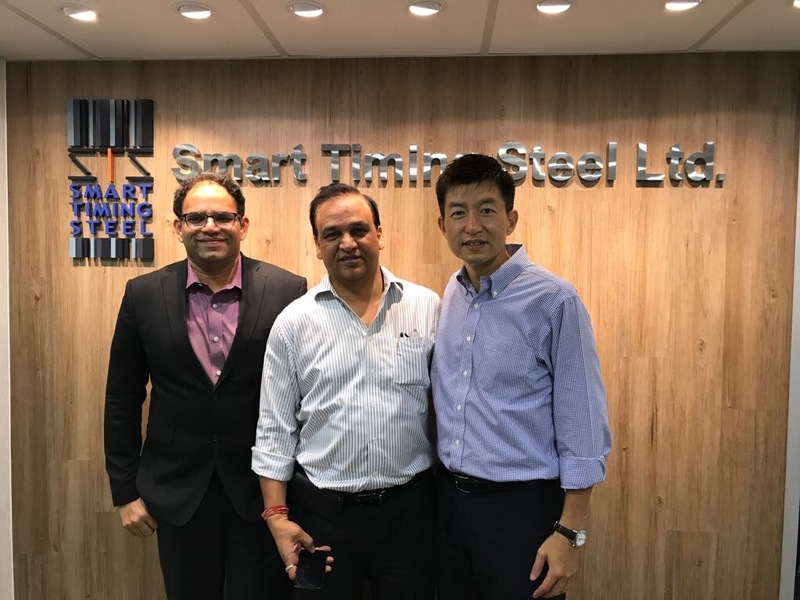 At the verge of entering to 21st Century, Mr. Zee was being invited to Macsteel International Far East Limited (MIFE) as the Head of Asia Semis and China Desks. 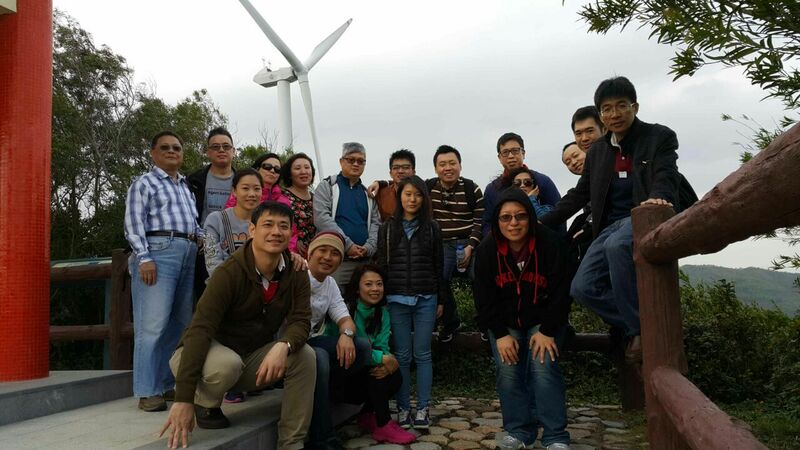 He successfully restructured the team and resumed new growing force for Macsteel Asia operation. 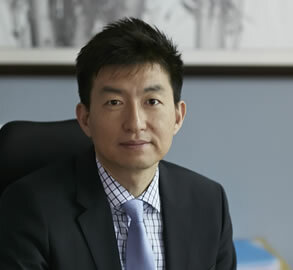 Mr. Zee joined Smart Timing Limited as a partner in 2003, taking the lead of Global expansion programme. 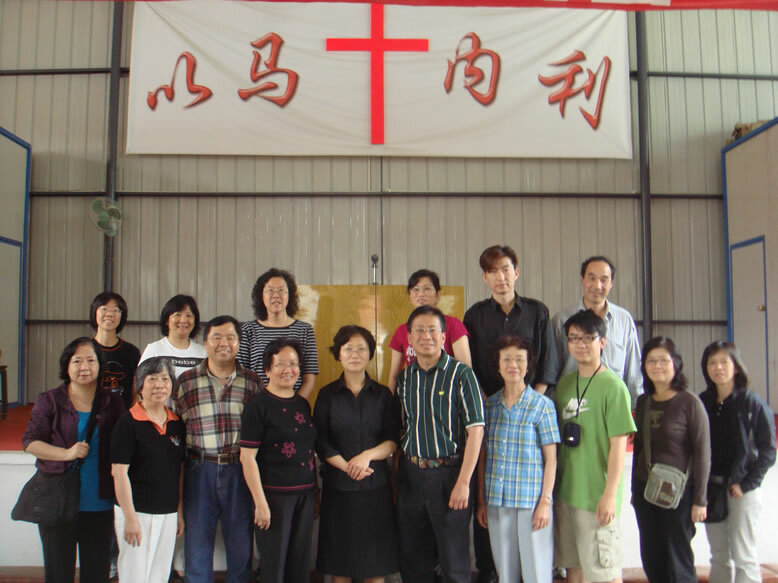 He established STS oversea offices and local agencies throughout Asia as well as forming alliance with Intergate AG. 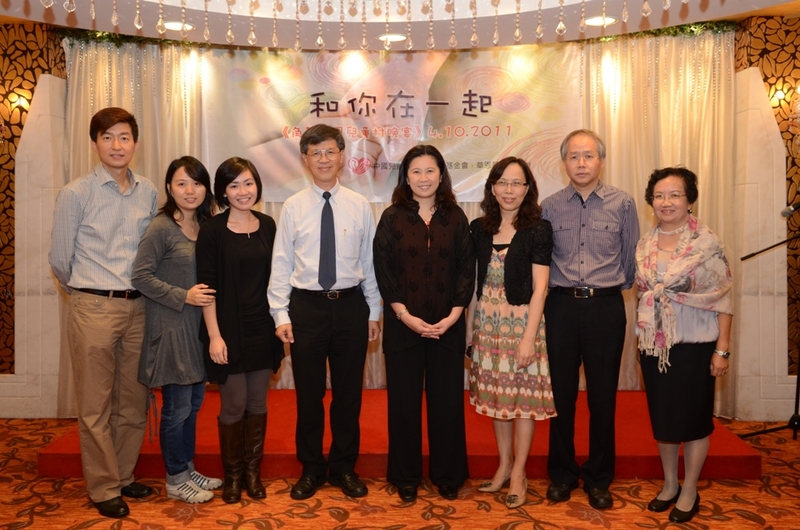 Abby Huang graduated from Beijing Iron and Steel University. 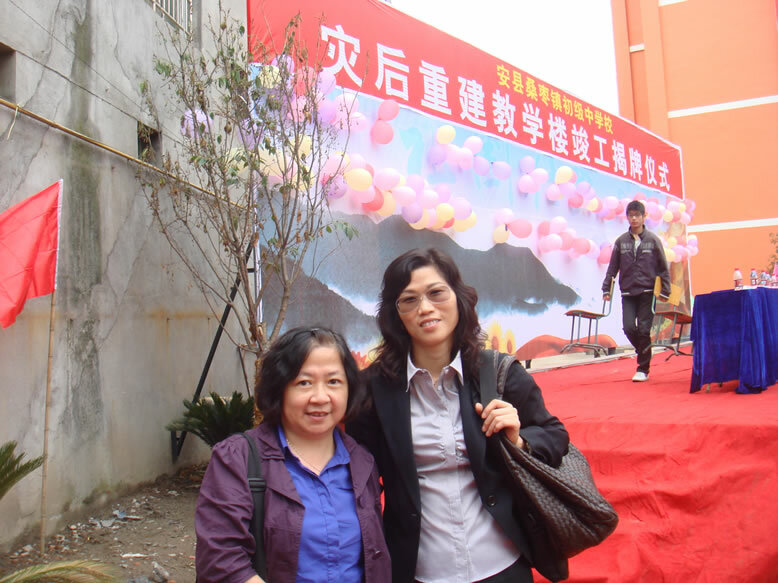 Before she joined her first foreign steel trading company, she had worked in Capital Steel for 6 years as an Electrical Engineer. She acquired profound product knowledge during this period and founded a strong ground for her future career. 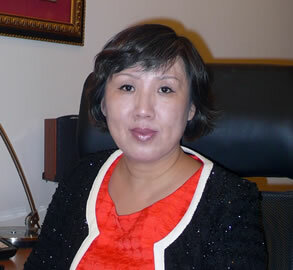 After leaving Capital Steel, she joined Macsteel International Beijing in 1994. 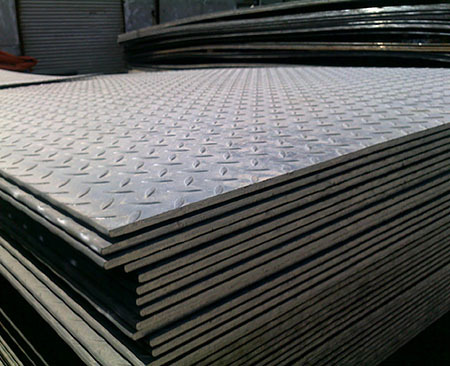 From then onwards, Ms. Huang has been specialized in international steel trading for many years dealing with all kinds of steel products. During these years, she has serviced numbers of international trading companies including AIOC Inc American, Noble Resources and Trade Arbed. 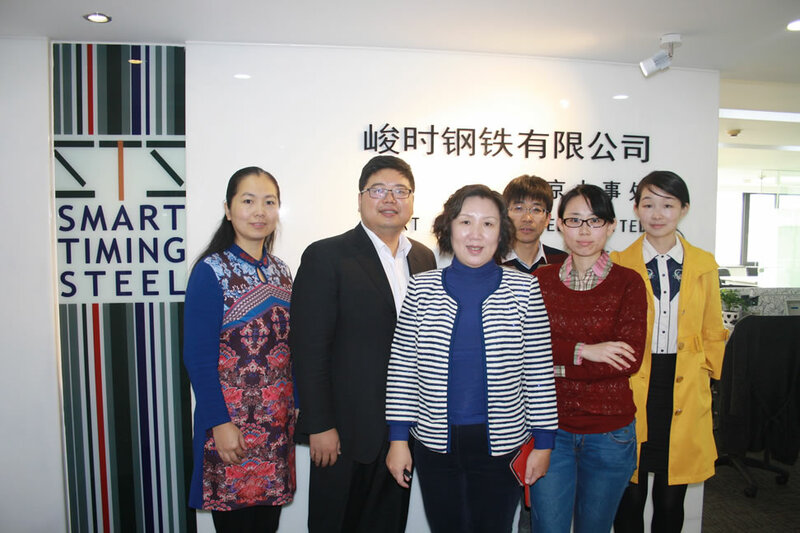 In 2003, Ms. Huang joined Smart Timing Limited, and set up Smart Timing Beijing representative office, carrying the capacity as the head of China operation. 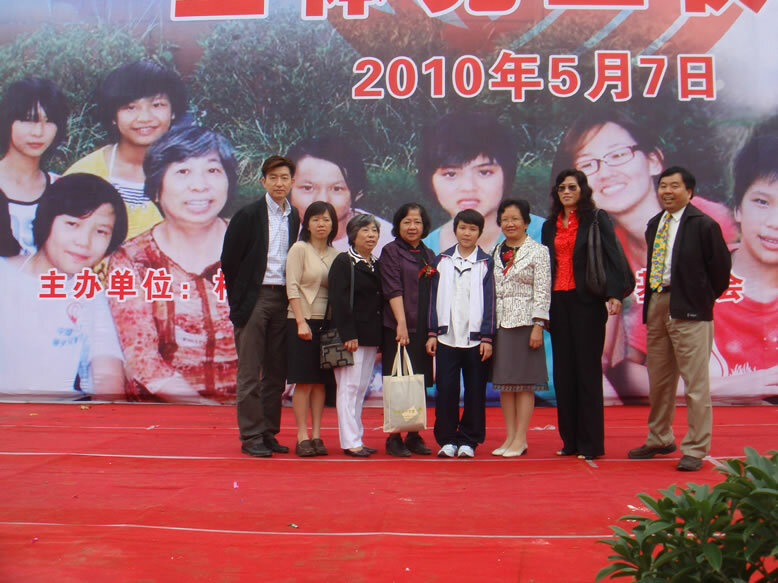 Endowed with previous connections and continuously working hard with the entire team, she successfully developed a strong clientele throughout China. 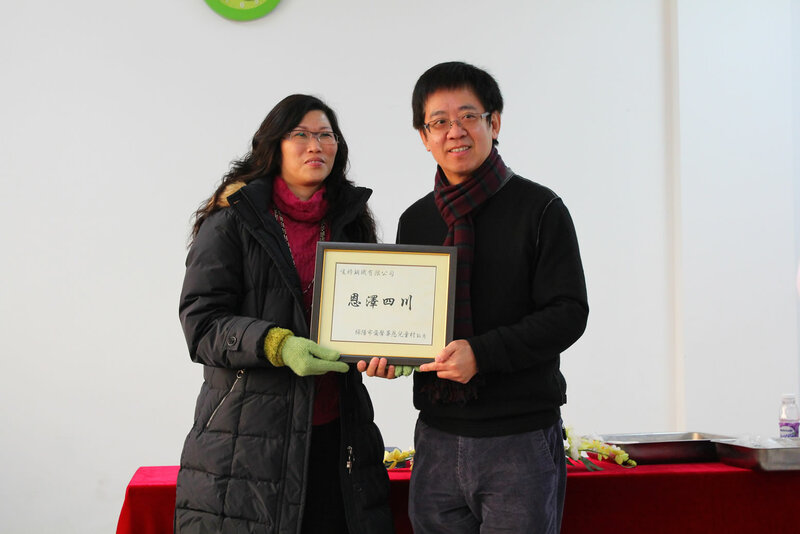 Landau Liu acquired a Bachelor Degree from Fudan University, and Master Degree from Renmin University of China. He started his steel trader career in Prosperity International Holdings (H.K.) 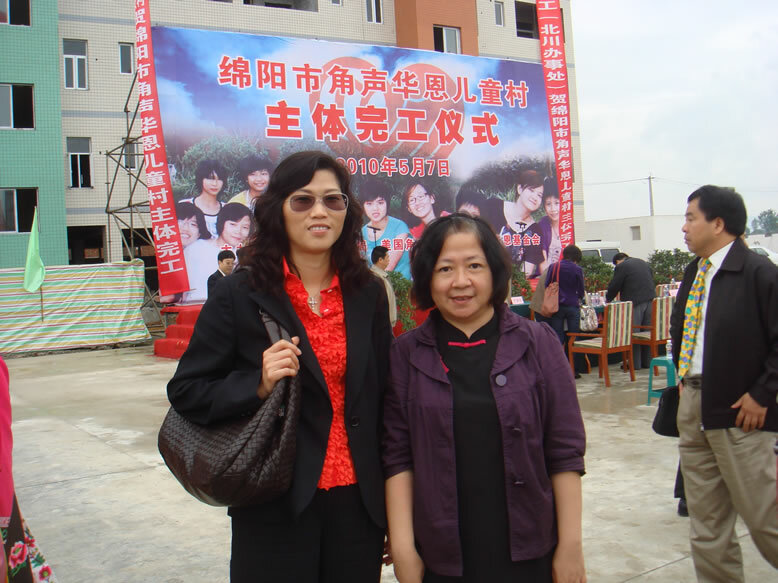 Limited Shanghai branch, then joined in CNBM, then worked in one steel factory as the head of shanghai branch. 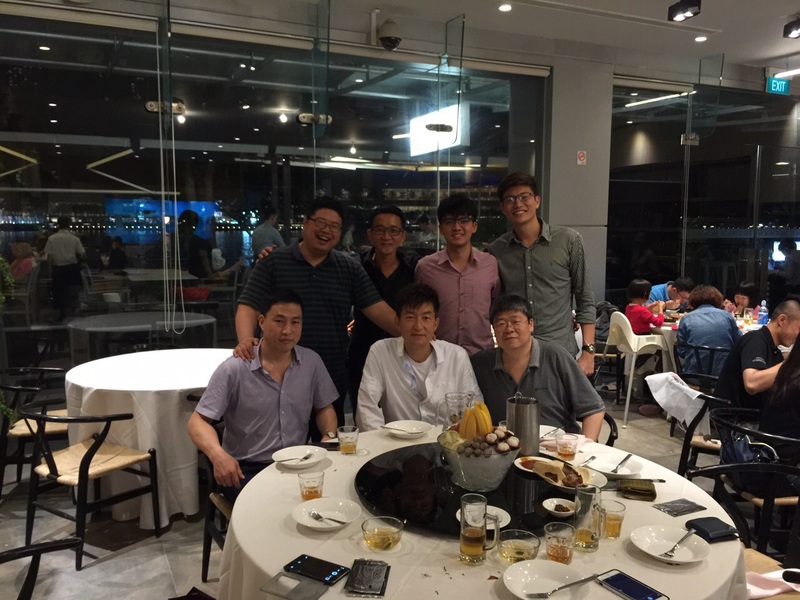 Since 2006.09, he joined Smart Timing Limited as the chief representative. Then set up one team to do import&export steel biz in China. 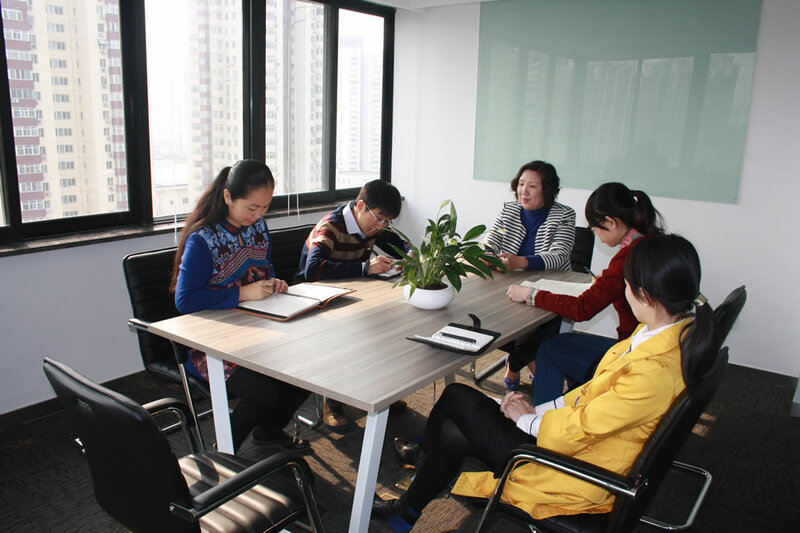 On 2013, the headoffice decided to build one fully controlled company named SVS as the manager! He had a very strong clientele of Chinese private steel mill, and also responsible for futures operation. 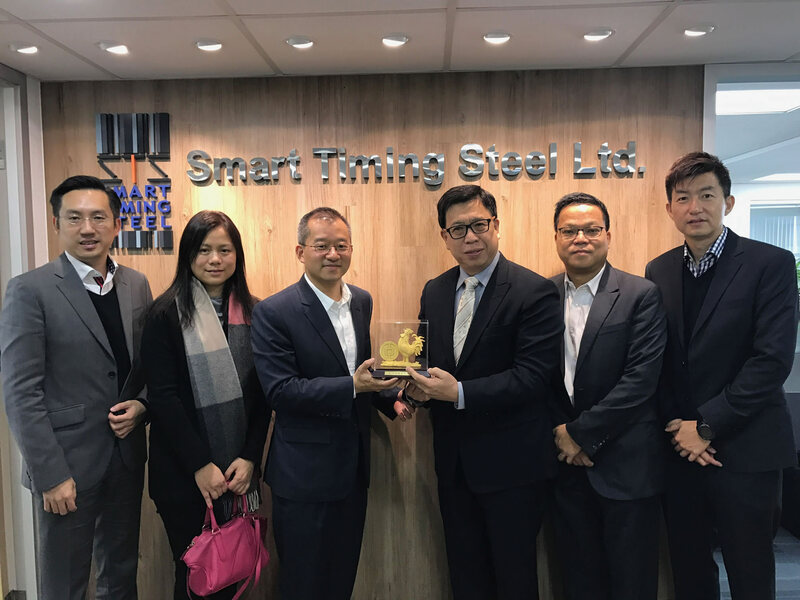 Operational Excellence: Smart Timing Steel is proud of being deemed as a very reliable trading partner across the globe. We perform professionally regardless how the market moved. We believe contract is always the very basic and minimum commitments to our clients. The company never break words and terms even at the occasions of Chinese export tax modifications and Global Finance Crisis. Since it has founded, the company has no records of defending any legal cases. 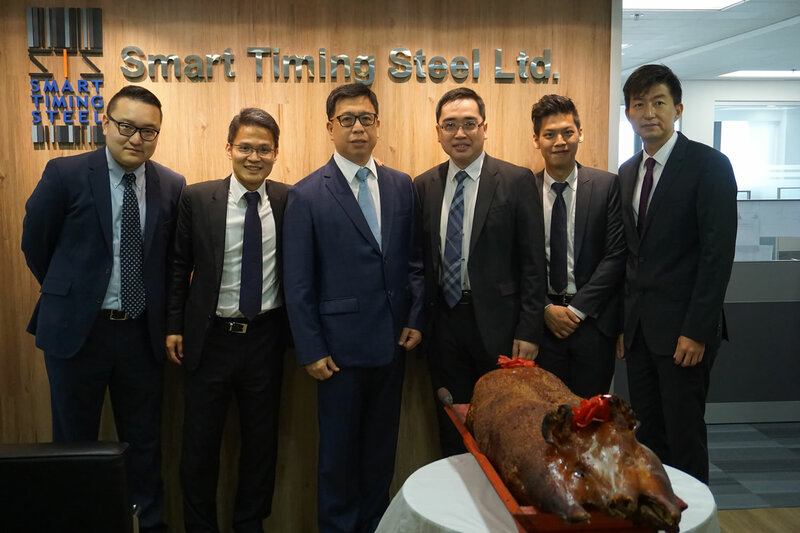 The major operational excellence of Smart Timing Steel is based on the flat communication channel and small team work cultures across the Asian regional offices in decision making and business dealings. 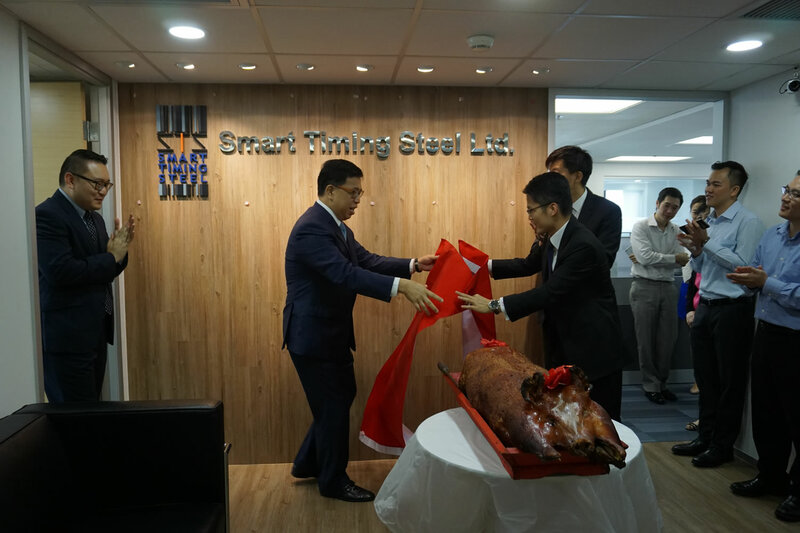 On the commercial side, Smart Timing Steel aims to establish perpetual business growth and long term business relationship through increasing business flexibility, improving customer responsiveness and minimizing cost to optimize our performance. 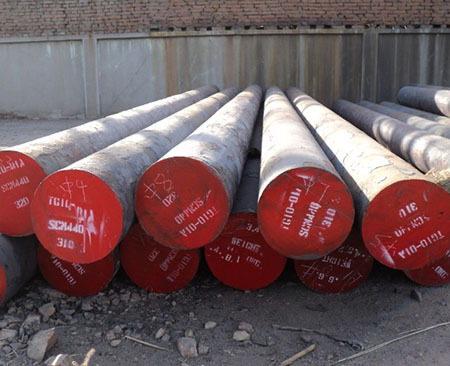 We offer tailor-made steel products through close cooperation with mills in providing steels with specified chemical and mechanical properties to suit custom needs. Thanks to a flat organizational structure and clear-cut communication channel between regional offices, prompt services (prompt price quotations & answers) to customers are always provided with swift price risk management tools in place. A direct relationship between risk control and profit centre is maintained on each trading department for regular commercial evaluation and strategic planning according to the operating environment. We develop an organized filing and report system for easy data retrieval; close monitor series of budget and performance forecast proposal to quantify our performance for strategic planning and evaluation. Team-based periodic reviews and performance appraisals were made to ensure that we are performing in line with our budget and above our expectation on each trading department. 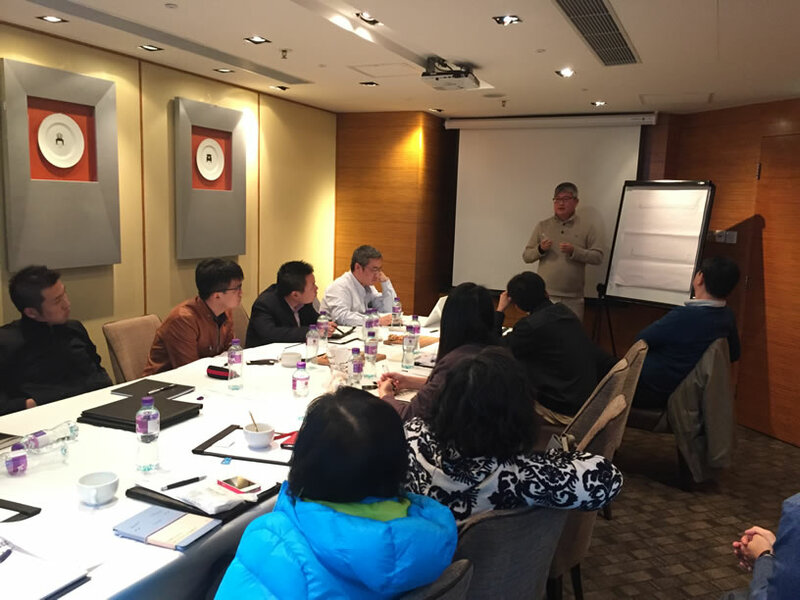 Peer Recognition: Based on its entrusted goodwill and exports oriented model, increasing exposure to the market and recognition by customers in the Far East, Southeast Asia and Latin America have been rapidly enhancing. 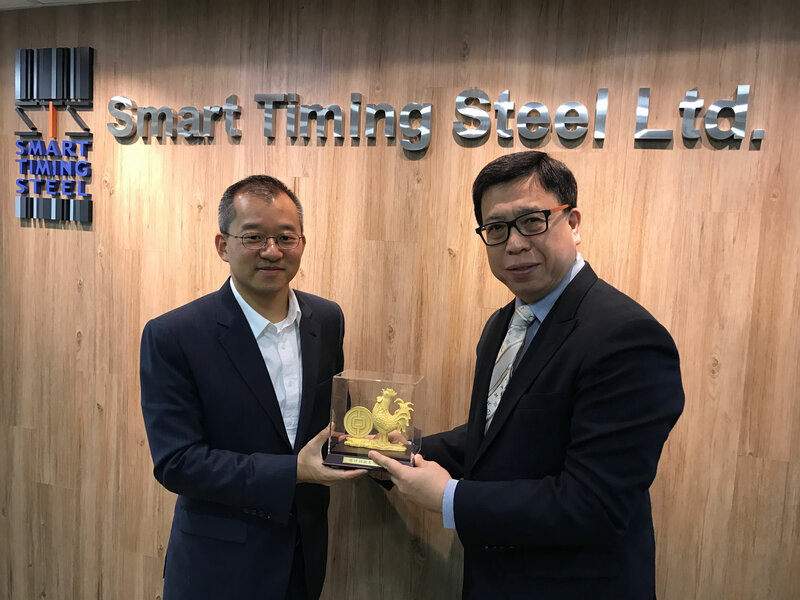 Smart Timing received the honour of being appointed by TATA Steel as their sole agent for the South China market in 2000. 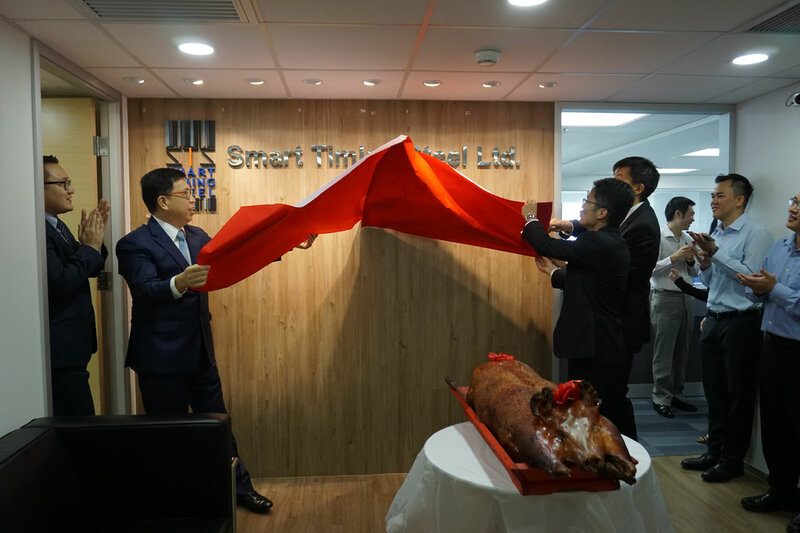 Since the Chinese branches in Shanghai and Beijing offices were established, Smart Timing has actively cooperated with both top-tier private and state-owned Chinese mills. 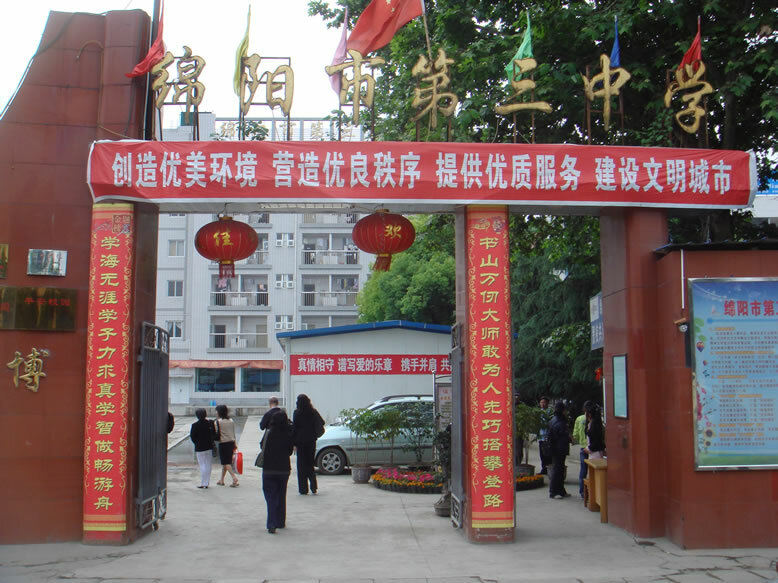 These include the leading Baotou, Beitai, Jiujiang, Tonghua, Xinyu, Xuanhua, Yingkou, Yonggang etc in long products. 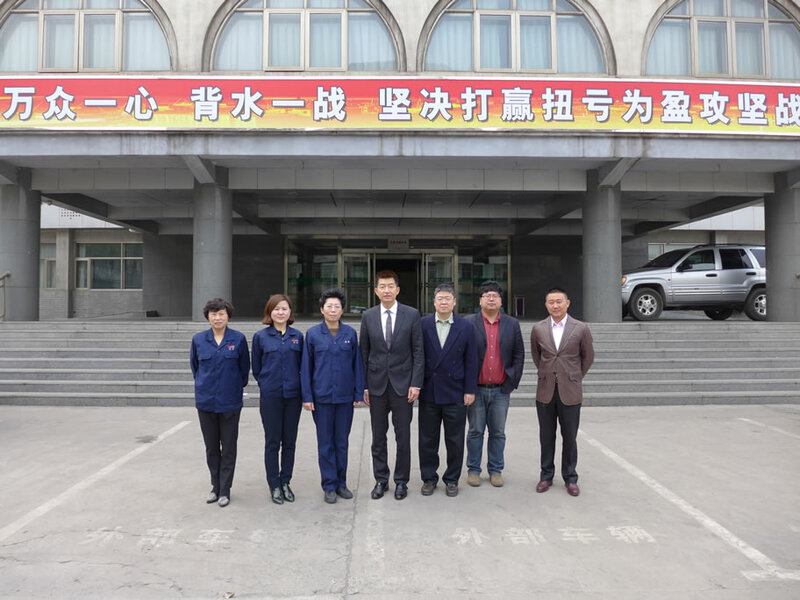 On flats, top trade partners include Angang, Benxi, Shougang, Tanggang, WISCO and Xinyu etc. 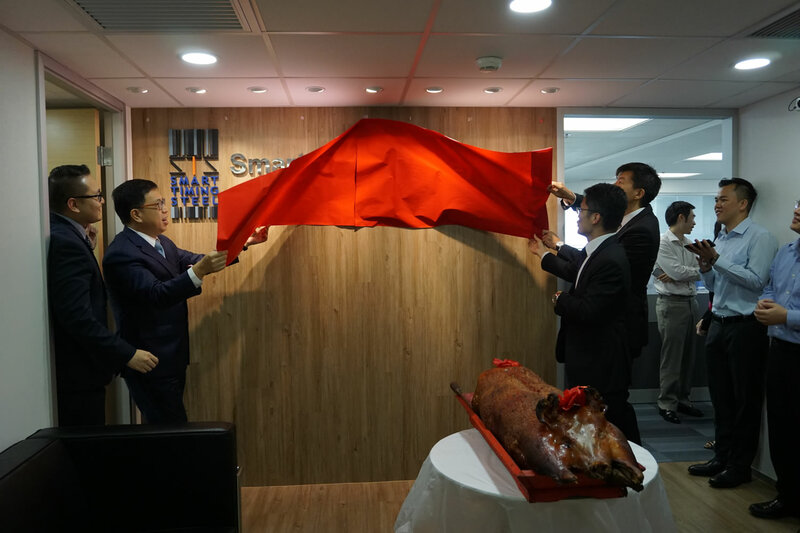 The company also cooperates strategically with one of the largest European steel trader and distributor, Intergate AG. In 2013, a country diversification strategy has been implemented on expanding the current client base, targeting Southeast Asia. 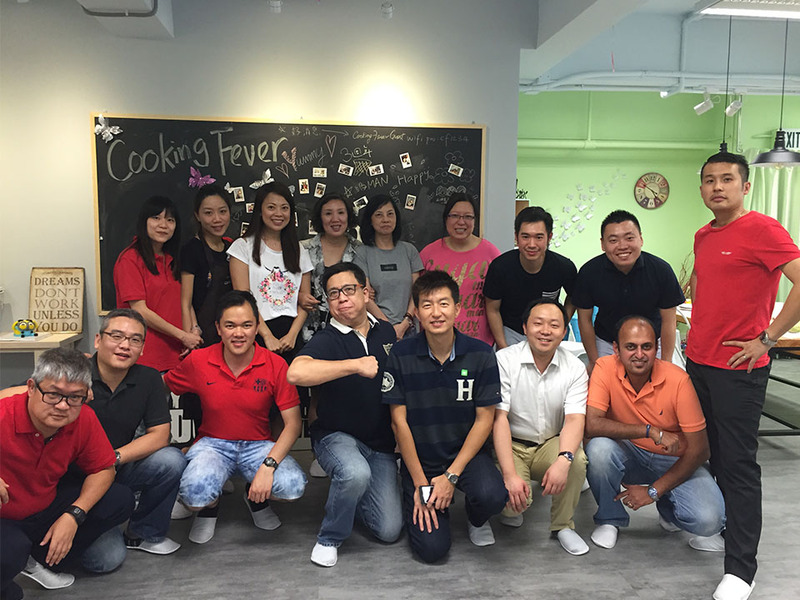 The company has started cooperation with the largest stockists in Singapore. 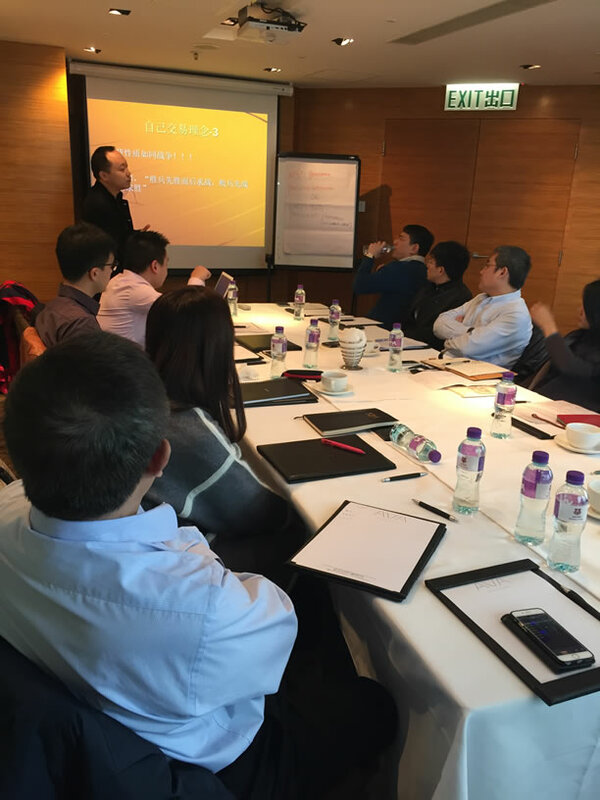 In Malaysia, the new client base involves both long and flat products end users. The company is currently looking to expand its new market into other developed countries. 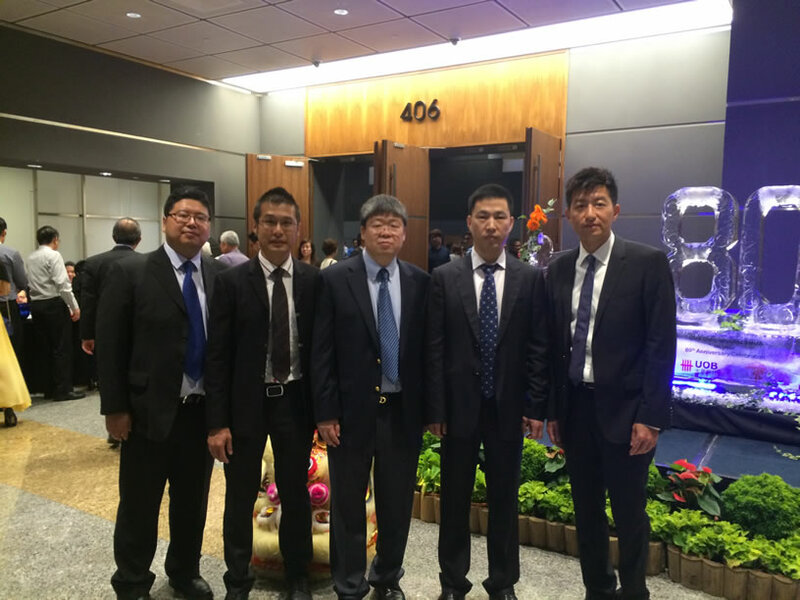 The company is well respected by its financial brokers and is a pioneer trading firm to trade the HRC swaps on its first available trading day on SGX. 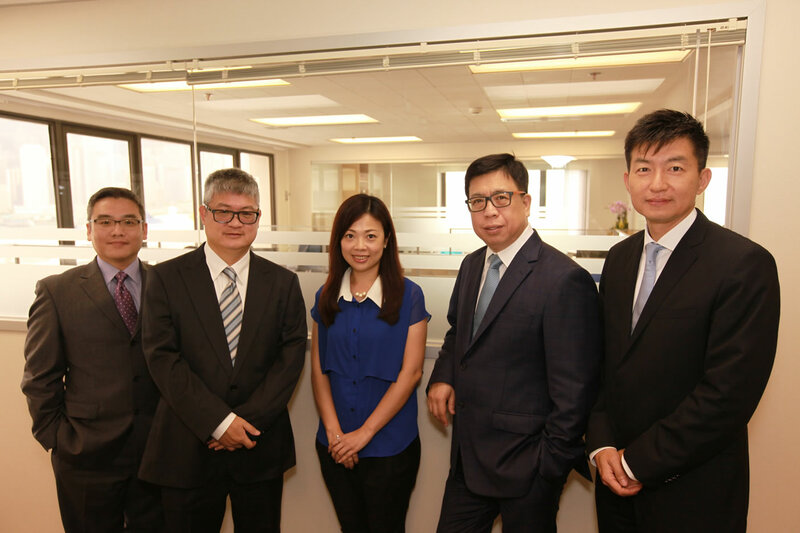 The company trades actively with the largest financial brokers of both SGX, SHFE and DCE. To honour its successful expansion strategy, the financial back-up from the reputable banks in Asia have been consistently accelerated. 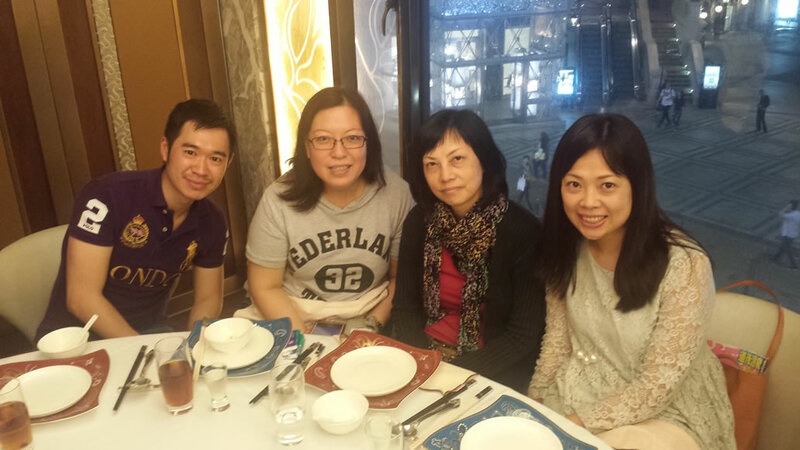 Close banking relationship has formed with HSBC, Standard Chartered, OCBC, Hang Seng Bank and ANZ Bank. 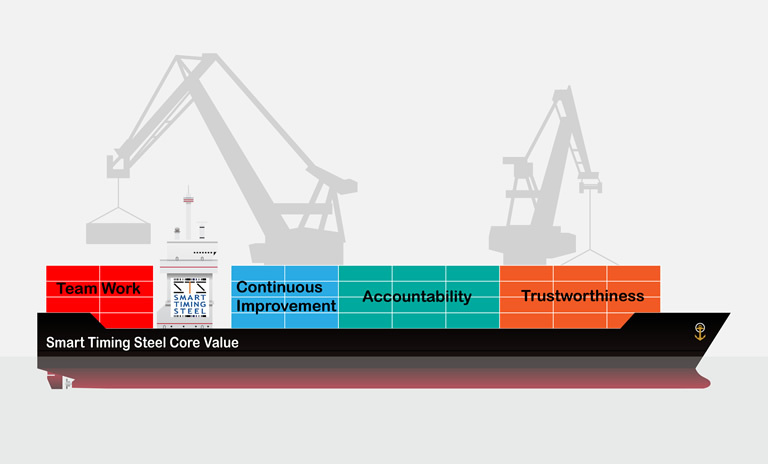 One of our corporate values is “continuous improvement”. We strive to improve ourselves in various aspects as well as helping those who need assistance so as to improve themselves. We believe that education is the fundamental solution to eradicate poorness, and build better community. Our staff is highly encouraged to participate in all kind of community services which can help the needy people. 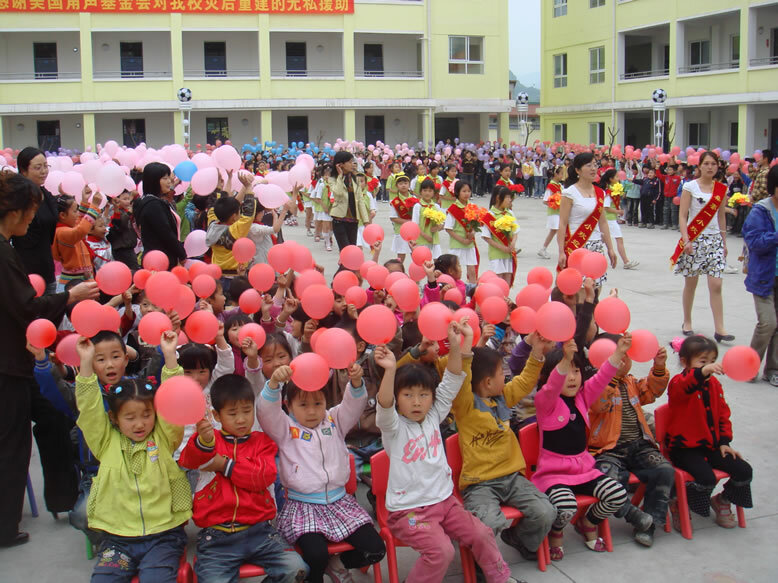 Recently we are particularly putting our effort in helping children in impoverished cities in China. 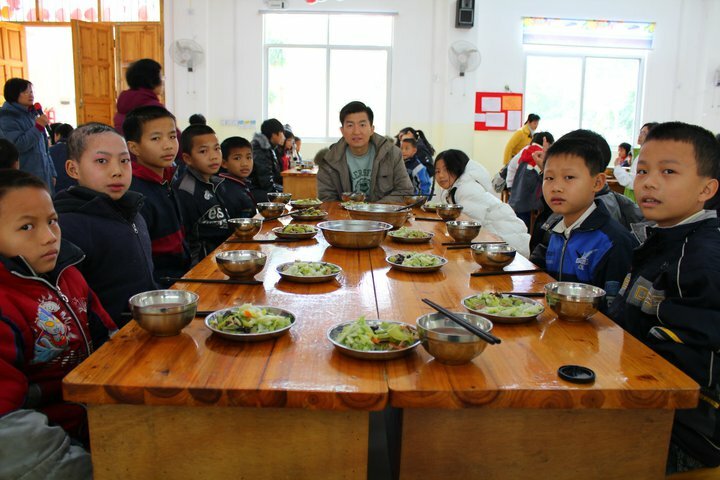 We support Gratia Foundation who currently has 3 children villages in China located at Sanming, Hechi and Mianyang, to serve approximately 300 children by offering better food, accommodation and learning environment. Most of them did not have proper shelter and chance of education, prior to entering the children village. We are very glad that we can contribute in this respect. 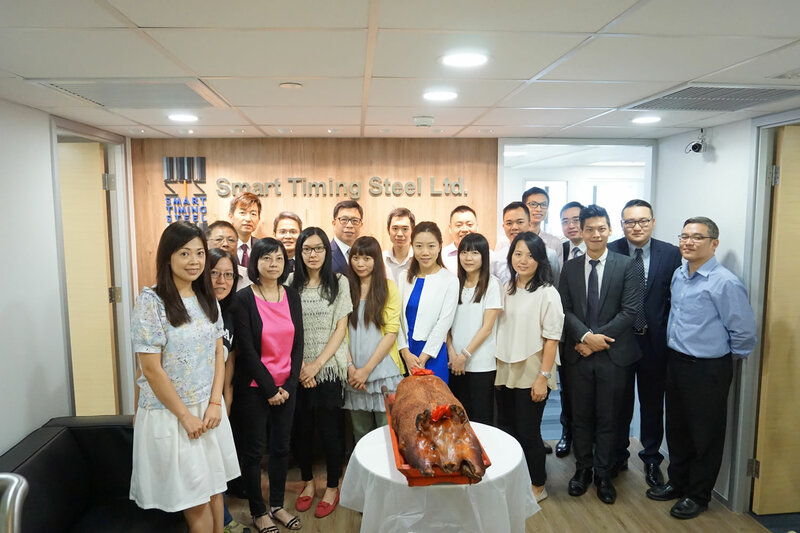 Smart Timing Steel Limited endeavors to support child and youth development. We strongly believe that education and whole person development is of utmost importance to make a difference in the lives of the younger generations, now and into the future. 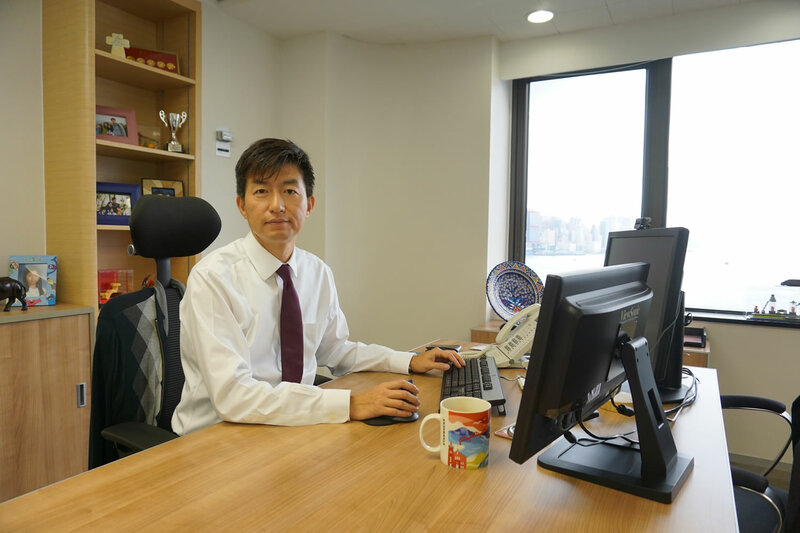 The Child and Youth Development Fund (CYDF) is set up in support of the longer-term development of younger generations from disadvantaged background, both from Hong Kong and China. 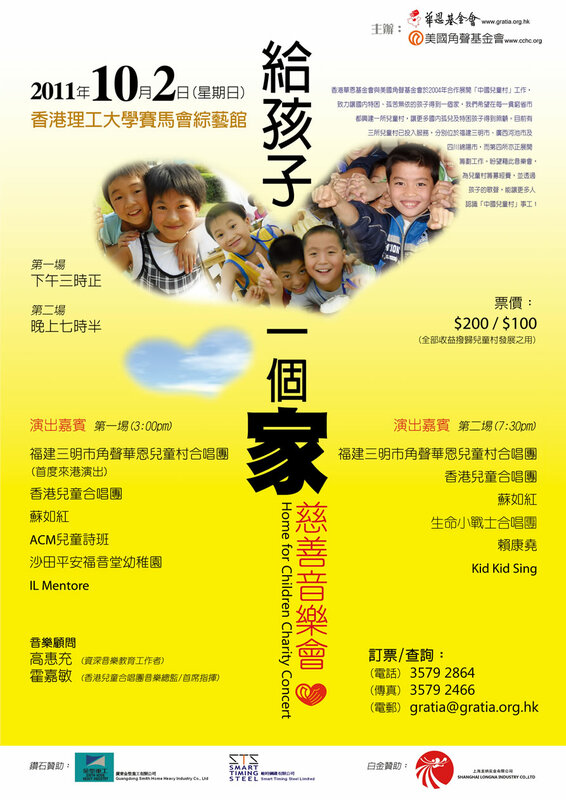 We strongly encourage interested parties in Hong Kong with passion to make changes to lives for the disadvantaged child and youth to submit Whole Person Development Project Proposals to us at stsl@smarttimingsteel.com. If the submitted proposal is approved, a considerable amount of funding will be released to the party in support of child and youth development projects. 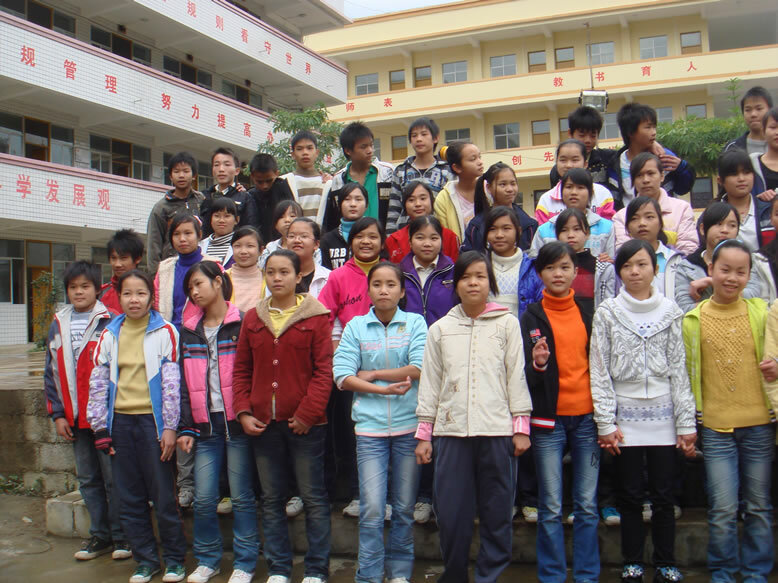 The CYDF aims to encourage child and youth from disadvantaged background, both living in China and Hong Kong, to plan for the future and cultivate positive attitudes with a view to reducing poverty. It aims to provide child and youth with more whole person development opportunities through participating in different types of whole person development projects. The CYDF seeks to encourage them to develop asset building habit and to accumulate knowledge, sense and right attitude with proper mindset for their future development. 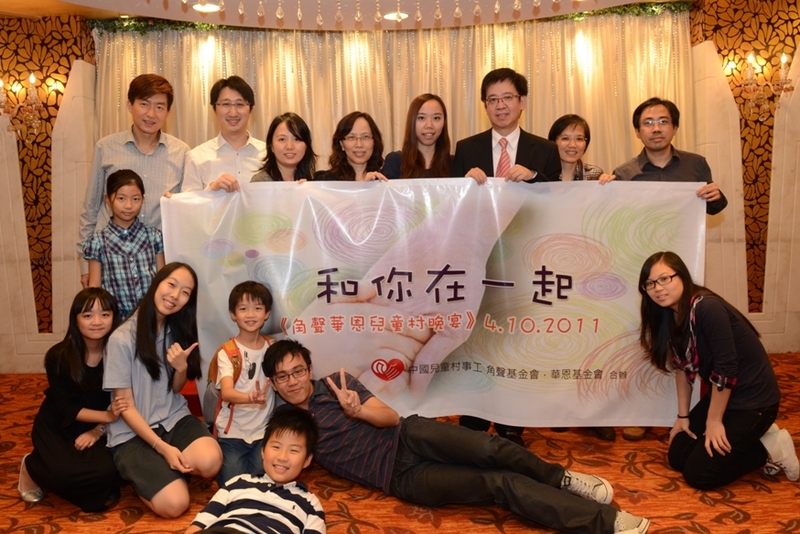 2) Child and Youth aged below 21 who are receiving Comprehensive Social Security Assistance in Hong Kong; or whose household income is less than 75% of the Median Monthly Domestic Household Income are eligible to participate in the CYDF. Moreover, an eligible participate should not join any similar project fully and partially subsidized by public funding concurrently. The funding should not exceed 50% of the total budget or the actual expense for the Whole Person Development Project/Program which so ever is lower. 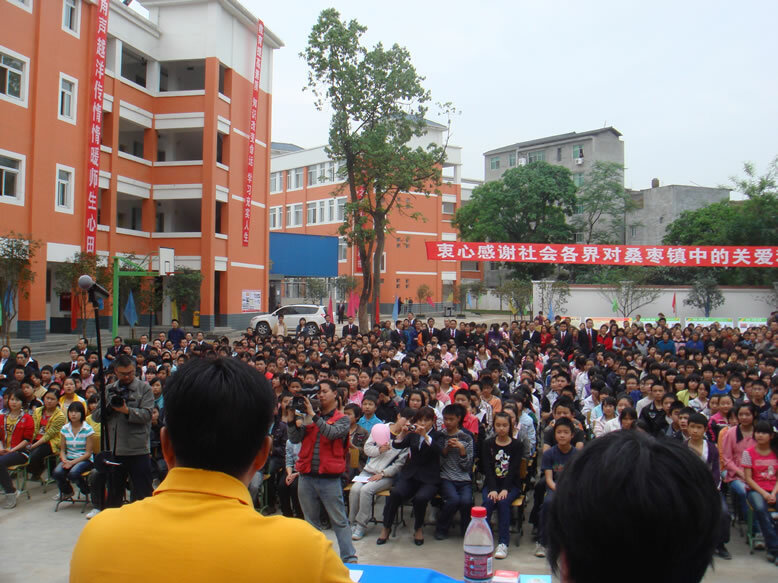 A maximum of HKD100, 000 being the subsidy for each Program /Project will be granted to the operating party. We will not accept any liabilities and funding arising from the Project beyond the approved funding. Upon approval of the proposal, payment will be released to the operating party during different stages of the Program/Project. We reserve our right in the final determination and approval of the submitted proposals. 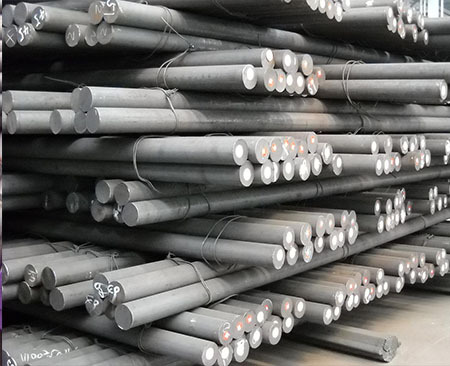 A long established commodity trading company specialized in steel products and ferrous raw material and the related derivative products, we are committed to provide unique customer solutions to our global customers over 40 countries. To cope with our expansion, we are looking for high caliber candidate for following vacancy. * The candidate is a decision maker who will manage a specific product portfolio for our group, develop long term growth strategy in his responsible area, manage and execute trading game plan to achieve the business target for the company, key account management and manager of our overseas team. This is a senior post and the candidate will be a management team member in our leadership group. We offer attractive performance driven compensation scheme to suitable candidate. Current salary range below USD 100K p.a. need not apply. 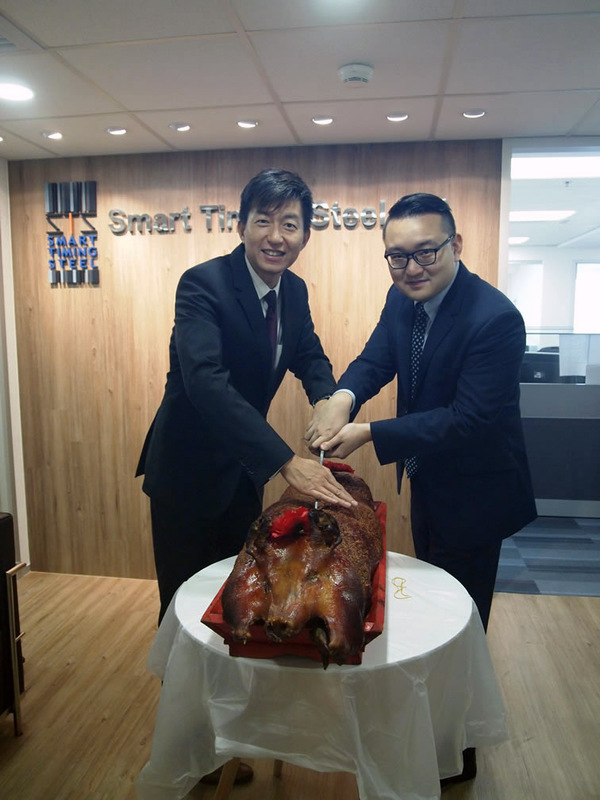 Candidate with less experience can consider applying Steel Trader. On the job training about products, shipping, bills, trading strategies on physical and derivatives, etc. We offer 5-days work, and other fringe benefits like medical insurance. Kindly send your CV and expected salary to stsl@smarttimingsteel.com. Copyright © 2019 Smart Timing Steel Ltd. All Rights Reserved.